UPDATE: The vehicle of vehicle of Mr. Lugo-Campos was located in Navarro County. Detectives are still actively looking for Mr. Lugo-Campos. On September 16, 2017, Mr. Josue Lugo-Campos was last seen in the 2400 block of Laughlin Drive around 5:40 pm. Mr. Lugo-Campos is missing under suspicious circumstances and may be injured. He is described as a Latin male/23 with black hair, brown eyes, 5’06 weighing 170 lbs. Mr. Lugo-Campos was last seen wearing a striped shirt, unknown color. 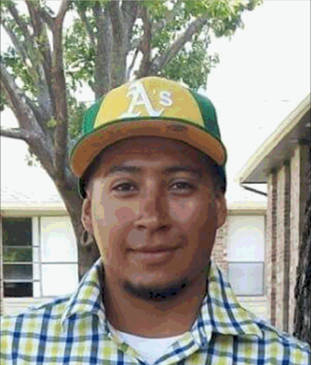 The Dallas Police Department is asking for the public’s assistance in locating Mr. Josue Lugo-Campos. Persons with information are asked to call the Police Department at 911 or (214) 671-4268.